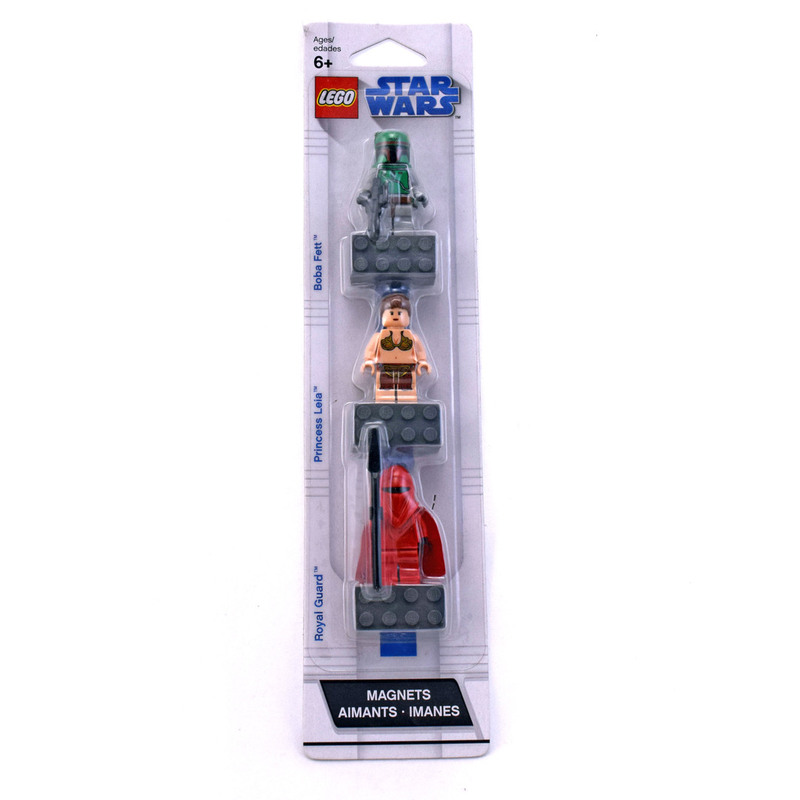 Satar Wars Magnet Set Royal Guard 2009 (LEGO 852552-1) is a magnet set containing Boba Fett, Princess Leia and a Royal Guard. All the minifigures in this set were from the year 2006. Set comes with 19 pieces.